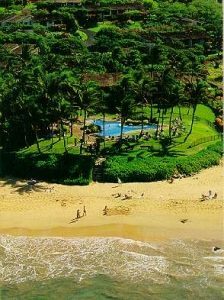 Gently Sloped on a Terraced Hill fronting the Sun-Drenched Shores & Sparkling Golden Sands of the Beautiful Wailea Coastline at Breathtaking Keawakapu Beach – Featuring Emerald-Blue, Crystal-Clear Waters Perfect for Swimming & Snorkeling -lies a Tropical Oasis at Maui’s Famous Resort Destination of Prestigious Wailea…The Enchanting Ekahi Village. 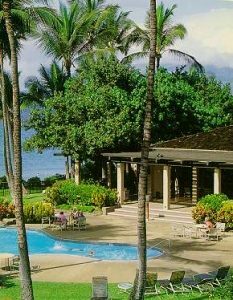 In a Magical Setting of Swaying Coco Palms amidst Lush Tropical Grounds & Gardens, Relax in Comfort & Style from the Privacy of your own Maui Condo Vacation rental, with your choice of Intimate Studios, Roomy 1-Bedroom Condos or Spacious 2-Bedroom/2-Bath Condominium Accommodations. Enjoy Breathtaking Ocean Vistas and beautiful Garden Views as you stroll our Enchanting Grounds via Meandering Walkways at your Vacation Resort Getaway … As the Fragrant Scent of Island Plumeria permeates the air and Gentle Trade Winds Caress your Senses. Welcome to Paradise Found while Lounging at the Beautiful Oceanfront Pool and Beachside Pavilion as the Sound of the Gentle Surf Beckons your Call … Just Steps to the Sand! Three additional Pools and Paddle Tennis Courts await your Vacation Pleasure, along with World-Class Championship Golf and Preferred Guest Rates. At days end, Prepare your ‘fresh catch’ Oceanside at our Beachside Pavilion complete with Gas BBQ’S, in an incomparable setting. You’ll then marvel at another Breathtaking Tropical Sunset from the Privacy of your own Spacious Lanai, while sipping your Favorite Tropical Drink and enjoying your favorite meal. 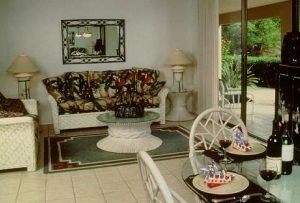 Your Deluxe Maui Condominium Vacation Rental Getaway features Inspiring Panoramic Ocean or Garden Views, accented in an Island-rattan motif. Appointments showcase Fully-Equipped Kitchens, Cable TV/VCR and In-Suite Washer-Driers. You’ll also be pampered with Daily Maid Service, while our Concierge Desk assists you with all your island travels. For your added Vacation Pleasure, an International Array of fine Shops & Restaurants are just moments away (featuring the new “Shops at Wailea”). Welcome to the Enchanting Ekahi Village…The Ideal South Shore Maui Condo Vacation Destination Getaway Nestled on the Beautiful Wailea Coastline. Your Tropical South Shore Wailea Condo Vacation Getaway Features your Choice of Intimate Studio Condominium Suites Perfect for 2; Roomy 1-Bedroom Maui Vacation Condo Rentals that accommodate up to 4 Guests; Or Spacious 2-Bedroom/2-Bath Residences that Sleep up to 6. All Linens & Towels Provided.